Offering our Comprehensive Certified Household Management, and Certified Service Management Programs; Military Enlisted Aide Program, Wine and Sommelier Courses; Housekeeping, Clothing and Valet Program, Service Etiquette, Identifying Service Expectations, and Luxury Products Programs for Butlers, Concierge, and Senior Service; and our StarkeyHQ© Service Management & Software Program. Programs are evaluated regularly to address the needs of an evolving service profession. Our “Restoring the Art®” Conference presents an annual industry-wide international Private Service Management event. These unique programs provide practical learning in Daily Graces®, management techniques and technology, and Service Leadership. The Institute’s educators and product lecturer’s possess the thousands of hours of required experience, teaching expertise, and essential knowledge necessary to impart the knowledge effectively. 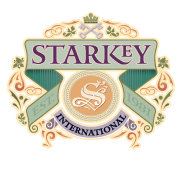 Starkey’s Estate Manager’s Program is the above course accelerated to be a 255 hour, four-week course for those persons that have two – three years of experience in Private Service. This program offers the training and expertise that are essential to be the highest level of Household Service expert available in the marketplace today. Starkey’s Service Management System and StarkeyHQ™ Software are taught and set the stage for an overall understanding of Private Service Management and the Management Tools required to succeed. Each student also identifies their own unique style of Service in our Relationship of Service Course. A series of evaluators teach students to understand the correct style of service position for them. Administration, Financial Management and Human Resources for Private Service, including working with Family Offices and the Management of Multiple Homes is taught. An in-depth course on Entertaining, Wine and Wine Cellar Management is taught. Our Leadership and overall Vendor Management for Private Service is also taught in this well-rounded program. The Estate Manager Program is a sophisticated and competency-based program that recognizes and develops the knowledge, experience and expertise of the Estate Manager. Note: this course does not have Culinary Training. StarkeyHQ™ Software and Service Management Publications. World sophistication in the identification of Luxury Products and resources. Knowledge of Luxury Service Etiquette and Protocols. The technical knowledge of Entertainment, Wine, Event Planning and Wine Cellar management. The Ability to identify, customize and set up a comprehensive Service Management Plan. The ability to manage Smart Home Technology. The ability to develop Contractor and Vendor Resources and manage such contractors and vendors. Professional Profiling for your Service Career Goals. The knowledge of Administrative Skills for Private Service. The ability to integrate Security and Protection for Private Service and integrate security plans with the overall Service Plan. The expertise to lead and nurture multiple household staff personnel utilizing Human Resources procedures that have become essential in large private homes. The ability to provide a polished international presentation and have presence as a Leader. 1. The Relationship of Service, Service Etiquette and Professional Profiling of your Service Goals. Students learn to identify why they have “Chosen Service”. Starkey’s Personal Statement Exercise provides a transformational experience in self-discovery, individual Service Styles and Personal Career Goals through the understanding of self! It also includes Service Etiquette, Personal Graces, Service Attitudes and Protocol. Overview and Defining the Relationship of Service. Self-Assessment in the Relationship of Service. Individual Myers Briggs, Firo-B and Conflict Resolution Styles are identified. Choosing Service, Service Styles and cultures. Coaching for Private Service Interviewing. Personality Aspects of a Service Heart. 2. Starkey Service Management System. Our unique Service Management System instructs how to identify service expectations and to customize a service delivery plan to deliver those expectations. This patented Facilities Management tool is a highly sophisticated process for identifying, organizing and prioritizing household staff duties and service expectations. Unique to the service profession, it provides a Management Foundation for Private Service. It includes Terminology, Zones, Housekeeping, Property and Grounds, Maintenance and Security Task Sheets. It synthesizes service delivery hours, position descriptions and provides software for customizing a service delivery plan. Introduction to Service Management and Management Tools. Identifying Vision and Service Goals. Employers Family Tree and Traditions. Employer’s Service Standards and Standards Matrix. Physical Structure and Service Flow. Housekeeping and Maintenance Task Sheets. Technical Skills Qualifier and Matrix. Day in the Life™ Schedules and Position Descriptions. Personal Care: Child, Elder, Guest and Pet. 3. Administrative Service Management, Financial Management and Human Resources for the Private Home. Students are empowered with Employment Practices, Day in the Life™, Time Management Skills and financially what it takes to set up a home. Students experience the different roles within service environments and learn that it can be as challenging to Receive Service as it is to Give. This is the Environmental Management and Facilities Overview of administratively setting up a structure within a home or other service Environment. Working with the Family Office. Financial Management for the Private Home. Human Resources for the Private Home. Managing Calendars, Cell Phones and other Electronic Devices. Customizing and Setting Up a Service Management Plan and Creating a Household Manager’s Book. Identifying the People’s Lifestyle Service Vision. Working with the Starkey Service Management System tools. Housekeeping Philosophy, Development of Zones and Task Sheets. Presenting the Plan to your Principal and fine tuning. 4. Entertaining, Wine and the Ballet of Service. Private Service Event Planning (The Ballet of Service) is an inspirational and educational experience through which students become fully acquainted with including the use of Starkey’s event Planning Management Tool. The Formal Dinner is scheduled; Table Etiquette, Protocol, Formal and Informal Entertaining, Table Service, Table Settings are practiced and Care of Fine Linens. Students also have Organoleptic Tasting, Wine Cellar Management, Classic Cocktails and Cigars. This is the essence of all event-planning learning of the highest order, Guest Care, Etiquette and the Protocols of Formal Service. Event Planning, Caterers and Rental. StarkeyHQ© Software for Entertaining and Event Planning. The Luxury Market, Products and Resources. 5. Private Service Management and Leadership and Vendor Management. Students are empowered with the skills needed to be leaders of people and Managers of projects and systems in Private Service. They are also empowered to be able to manage Vendors in the Business of Private Service. As this is also Administrative Work, it is developing the non-tangible Leadership Styles and Self-Directed Motivation to Manage Processes and Systems. Managing and Resourcing Support Vendors. Time Management Techniques and Self-Directed Motivation. Public Relations in Private Service. Leadership in Private Service and Management Techniques. Managing Art and Fine Collectibles. Managing Property and Grounds and Maintenance. Managing Safety and Security and Private Estate Security. Managing Transportation and Travel, Jets and Yachts. Download this curriculum as a pdf. Starkey’s intensive 360-hour, eight-week Household Management Program provides a full Household Service Management Certification. This program is 20 years old in sophistication and is absolutely essential in the marketplace of the Household Management profession. It presents the management tools, the technical skills in ten service areas, the personal development, and the luxury-product knowledge required for all those entering the Service Management Profession. Starkey also will continue to add cutting-edge curriculum additions and our dream team of resources throughout the year. Our unique Service Management System instructs how to identify Service Expectations and to Customize a Service Delivery Plan. This Patented Facilities Management tool is a highly sophisticated process for identifying, organizing and prioritizing household staff duties and service expectations. Unique to the service profession, it provides a Management Foundation for Private Service. It includes Terminology, Zones, and priorities Housekeeping, Maintenance and Security Task Sheets; synthesizes service delivery hours and position descriptions; and provides software for customizing a Service Delivery Plan. Students are empowered with the skills needed to be leaders of people and managers of projects in Private Service. Accepted Human Resource Employment Practices, “Day in the Life®” Time Management, and the Supervision of Vendors in the Business of Private Service Management are taught. Students experience the different roles within the home environment and learn that it can be as challenging to Receive Service, as it is to Give. Superior techniques for care and maintenance within Private Service are mastered. This section stresses Housekeeping, Products Knowledge, and Care of Antiques and Masters Artwork in the home. Recognition and Care of Designer Clothing, Valet, and Closet Organization. This thoughtful cooking program focuses on our Cooking for the Private Homes and “Flavor Profiles.” Unique to Starkey, this Private Service Cooking curriculum helps develop the ability to recognize Individual Preferences. Students learn Global Product Identification, Use of Fresh, New, Seasonal, and Organic Vegetables, Meats, Fish and Herbs, while maintaining Nutrition, Kitchen Safety, and Sanitation Standards. Employers love that our Graduates have an understanding of the Marriage of Food and Wine and are able to provide thoughtful Menu Development for the Private Home. Private Service Event Planning (The Ballet of Service) is an inspirational and educational experience where students become fully acquainted with Starkey’s Event Planning Management Tool. The Formal Dinner and other events are scheduled: Table Etiquette, Protocol, Formal and Informal Entertaining, Table Service, Table Settings are practiced with Floral Design, and Care of Fine Linens. Students also practice the Marriage of Food and Wine, Sommelier Service, Organoleptic Tasting, Wine Cellar Management, Classic Cocktails, Cigars. Personal Care is the center of the relationships you will create with your Principals, their Families and Guests. You will learn about each of the Personal Care Disciplines as they pertain to Children, Elders, Guests, and Pets; how to set up Support Staff and Schedule Daily Care. This section also offers a multitude of possibilities for personal care in all ten standard areas. This is the capstone of the Household Management Certification and it is where you actually create and customize a Service Management Plan on StarkeyHQ© Service Management software. The student will utilize all aspects of the service management system presented at the beginning of the course and demonstrate knowledge and ability in identifying specific Service Standards for Principals in all ten service categories and put the Service Plan into action. This is where you complete a Household Manager’s Book. Starkey’s 40-hour, 5-day Service Management “System” and StarkeyHQ© Software Program provides a Service System and StarkeyHQ© Software Certification only. This program highlights Starkey’s patented Facilities Management System and Software. It is designed for veteran Household and Estate Managers and Family Office Concierge providers interested in knowing how to develop and customize a service management plan and utilize the management tools for service. Starkey’s Service Management Software is invaluable for identifying and tracking Client or Guest Expectations in the Service Marketplace and in the Household Management profession. It presents the management tools and identifies possible expectations in 10 service categories. StarkeyHQ© Software included in this course offering. The Certified Service Management Program comprises 40 curriculum hours in 5 calendar days. StarkeyHQ© Software and Original Guide to Private Service Management included. Our unique Service Management System instructs how to identify service expectations and to customize a service delivery plan. This patented Facilities Management tool is a highly sophisticated process for identifying, organizing and prioritizing household staff duties and service expectations. Unique to the service profession, it provides a management foundation for Private Service. It includes Terminology, Zones, organizes Housekeeping, Maintenance and Security Task Sheets, synthesizes service delivery hours, position descriptions and provides software for customizing a service delivery plan. Starkey’s 28-hour Wine and Sommelier Program provides instruction on understanding the essential and fundamental aspects of wine knowledge. You will be able to recognize various grape varietals and their major wine growing regions. You will classify and perform a comparative analysis of old- and new-world wines, tasting as many as 35 wines. In addition, you will identify the various methods of service, purchasing, storage and safety precautions involved in wine service through your participation in planning and serving a Formal Dinner, in which you will gain knowledge in the various techniques of pairing wine with food. The Private Service Wine & Sommelier Certification, This Program offers 28 hours of instruction. This program is offered in conjunction with the 360-hour Household Management Program, a portion of this program is offered in the 255-hour Service Management Program, or as a stand-alone Private Training Program as requested. Exploration of the Five Major Wine Regions of France and Comparisons to the New World Counterparts. The Starkey International Institute for Household and Service Management is deeply committed to meeting the needs of industry Service Professionals and their Principals. Our extensive and very modern curricula includes the following courses. Currently the above curriculums include Power Points and Videos for teaching.